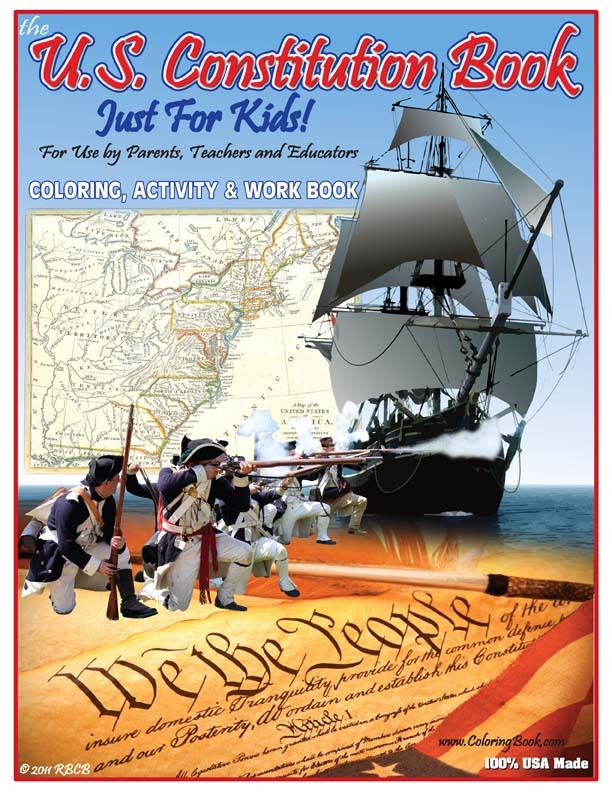 Published by Really Big Coloring Books ® Inc. the original Tea Party Coloring Book for Kids includes topics on government responsibility, participation and leadership with lessons for children on liberty, freedom, self reliance and the US Constitution. 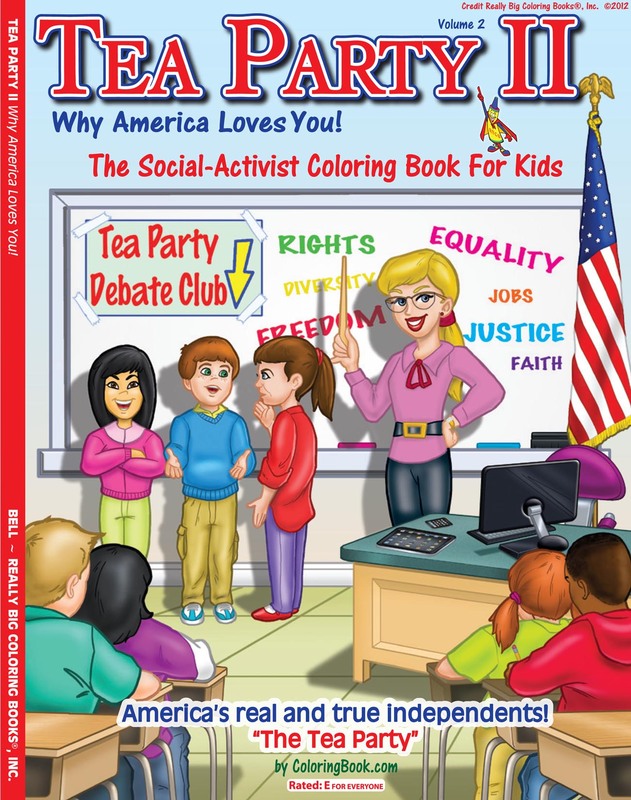 The Tea Party Coloring Book for Kids! In August 2010 Really Big Coloring Books ® created and published the original Tea Party Coloring Book for Kids. It sold into the six figures in less than 30 days, made headlines in 40+ countries and generated the sequel, Tea Party II Why America Loves You. Shortly after its original publication date the Tea Party Coloring Book and its Publisher Wayne Bell was openly mocked or ridiculed in articles and broadcasts by major news organizations from the Los Angeles Times, MSNBC's The Maddow Show, The Boston Globe, The Washington Post to name a few. Bell was also called names and received threats in articles by some bloggers and internet journalists. **Articles referenced below. Other news organizations such as the Daily Caller, Fox News, NPR and comedian Stephen Colbert reported a fair and accurate representation of the book. The company executives said after creating the book, "We did not know members of the The Tea Party itself would become the focal point of a national scandal that some say is testing the foundation of American beliefs. A branch of the US Government, the IRS, is being accused of disrupting, causing delay and disenfranchisement in the hopes and lives of ordinary citizens. In response to this scandal it prompted Senatorial and Congressional Leaders to openly ask the question to IRS officials: Is this still America? American citizens, conservatives and progressives alike are outraged, disgusted and fed up according to feedback via the company websites." Sandra Kaye, a mother of six in Missouri stated, "I should be able to teach my children conservative American principles with my own American made literature." Bell stated, "As a publisher of books for organizations of all kinds, the topics of human rights, freedom and diversity awareness are always close at hand. Our company has published or distributed books for clients in over 26 countries during the last year. 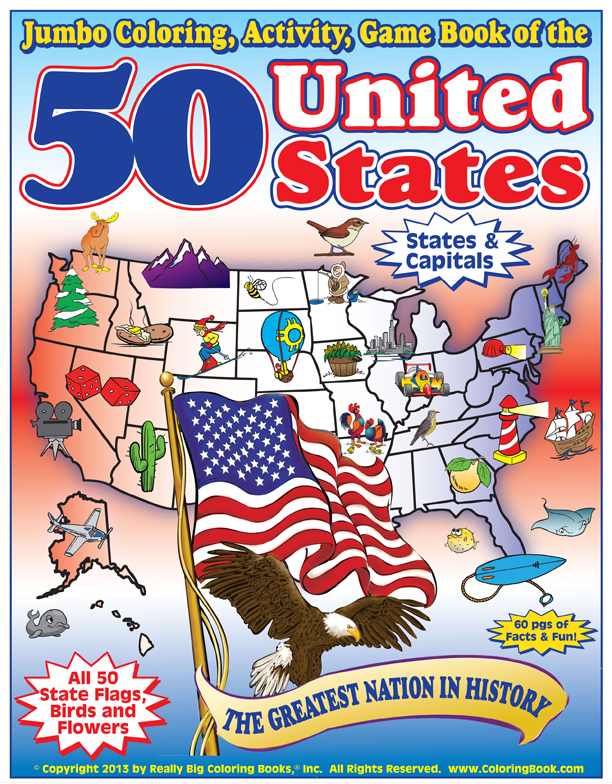 We honor our commitment to create coloring book products for any American in which to help educate their children. Our customers tell us you should be able to teach children with core values that include, freedom of speech, freedom of the press and especially the freedom to dissent. Our books reflect the diversity of the American landscape and we take serious topics like the constitution so a child of a young age can understand the subject in a nice coloring book" commented Publisher, Wayne Bell. Really Big Coloring Books, Inc.®, headquartered in St. Louis, MO, is a multi-national company providing quality children's teaching and learning tools and coloring book products for over two decades. Known for their market leading positions, RBCB’s family of products are classic, colorful and unique. The company owns more than 800 coloring book related domain names in several countries and has emerged a leader in the coloring book industry during the last decade. To find our more please visit: http://www.ColoringBook.com. 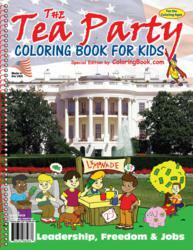 by Steve Greenlee -Sep 27, 2010 – "The Tea Party Coloring Book for Kids," published. ..
Sep 30, 2010 – The author-publisher of The Tea Party Coloring Book for Kids says he has received death threats over its publication.